During the past fifteen months, the Rye Neck School District has been conceiving a capital bond to make necessary repairs and improvements to schools in the district. The flat roofs at the schools are over twenty-three years old. Since 2009, the district has spent over $700,000 to patch leaks and to repair masonry. Facilities Advisory Committee member and Rye Neck Board Trustee Pietro Fasolino described the plan and Board President Patty Nashelsky explained the impact of the proposed bond on taxpayers.There will be a tour of the relevant facilities on February 1st. On February 7th, at 7:00 p.m., at the Middle High School campus in the library’s multipurpose room, there will be a final hearing on the bond. Voting for the bond will be held on February 13th from 7:00 a.m to 9:00 p.m. at the Middle High School. If the bond passes, construction will begin in the summer of 2019. For more information, go to the district’s website, www.ryeneck.k12.ny.us. Three of the four Mamaroneck Elementary schools are experiencing a lack of space for the growing number of incoming students. The district has been researching a controversial flex zone option for the upcoming school year. On Tuesday, January 23rd, School Superintendent Dr. Robert Shaps described the concept. The three schools facing space issues are Chatsworth, Murray and Mamaroneck Avenue. Each school has over seven hundred students while Central has approximately five hundred students, allowing more space. The prospective zone would include streets that are currently sending students to other school. Families in the new zone who do not have any current enrollees would be assigned to Central, but only if too many students show up in the fall. School Board President Melany Gray stated that no decision has been made. While the flex zone map is fundamental, there has already been a huge community response. For an hour during the meeting, residents made comments and suggestions and had questions about the proposal. There is a forum on Facebook to discuss alternatives to the rezoning. In just a few days, the forum amassed over one thousand members. Homeowners are worried about the impact on their children, neighborhood and property values. The Board is researching other concepts for the near-term, including increasing class size. The Board is looking for feedback and are urging any resident who is interested to join a task force that will study longer-term solutions. 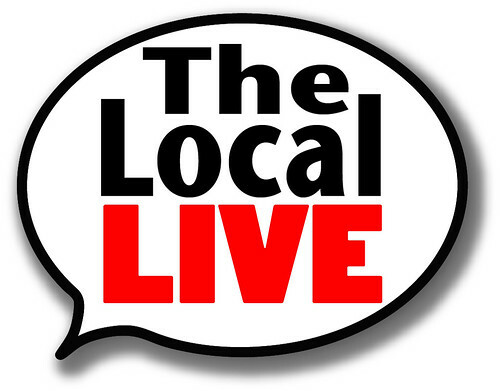 The Local Live would like to congratulate Mamaroneck High School students, Marina Tosi and Rebecca Marcus. The girls were named as semi-finalists in the 2018 Regeneron Science Talent Research Competition. Twenty-three students from Westchester were chosen to showcase their research in areas such as math, medicine, molecular biology and environmental science. The recipients were honored by Westchester County Executive George Latimer last week. Marina and Rebecca are headed to Washington, D.C. to compete for one of forty $2,000 prizes. The winners will be named on January 23rd. There has been an increase in student enrollment in our community. The Mamaroneck School District has been researching options to deal with the situation. And they need your help. The school district is urging parents of current students to fill out the survey that was sent via email last week to let the district know if you have any children will be enrolled in the near future. If your child is entering kindergarten this coming fall, the district encourages you to enroll your child as soon as possible. Enrollment begins on Monday, January 22nd. If you’re interested in joining the task force that is studying long-term options, you can attend the meeting on Wednesday, January 31st at the Hommocks Library or you can watch a video. The topic of the January 23rd meeting of the Mamaroneck School board will analyze the redistricting of elementary schools with flex zones. This option would allow current students and their siblings in their historic zone, but new students could be assigned to another school to alleviate classroom crowding. Decisions will not be made at this time, but the board is curious to hear from the community. In the LMC Varsity Sports Play of the Week, the Rye Neck Boys Basketball team recently played Children’s Village. Each team was seeking their first win of the season. Rye Neck had a substantial edge in the first half when senior Aidan Heaton helped to increase their lead.